A small lamp or a tiny light can make a difference to dispel the darkness around us. 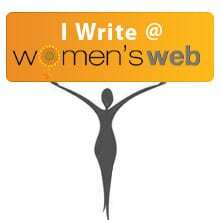 #WATWB ~ WE ARE THE WORLD BLOGFEST celebrates these tiny twinkling lights that surround us as they drive away the negativity and angst. Each month we spread love, light and positive stories to make this world a more positive and happier place. I learnt of this organisation that is uniting runaway or lost children with their parents. Indian railways is a very large network of trains and it is easy for kids to get lost there. It started as one woman’s dream to take care of the underprivileged children. It was started in 1992, and the main office is in Bangalore. SATHI (Society for Assistance to Children in Difficult Situation) is a non-profit organisation. SATHI works with children on the railway platforms. It rescues them from the vagaries of the platform life and provides shelter and care until the time the child is returned home safely. Let us flood social media with peace and love. 4. Place the WE ARE THE WORLD Badge on your sidebar (see the bottom of this page) and help us spread the word on social media. Tweets, Facebook shares, G+ shares using the #WATWB hashtag through the month most welcome. More Blogfest signups mean more friends, love and light for all of us. 6. 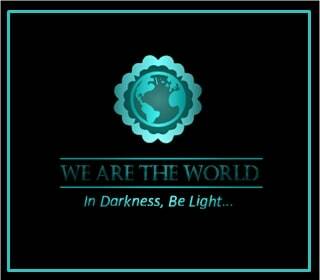 If you haven’t joined us but would like to please signup, add your link in WE ARE THE WORLD Linky List below. If anyone has any questions please feel free to drop us a note in the comments section. Inderpreet, it’s sadly amazing to me that issues like this exist in this modern world, especially with children. I’m glad that India has an organization that helps to find these kids and bring them back to their parents. How many young lives have been saved? Thanks for sharing and taking part in #WATWB. Yes, sadly our children are most vulnerable. They have united more than 350 kids. Thank you, Belinda. I am glad there are such a support system for kids. I’m glad there is such an organisation helping look after kids. They are the most vulnerable and it is so scary to imagine what can happen to a lost child….. Yes, I agree. It makes a difference. Thanks Bellybytes. Thank you so much, Simon. I agree – may they rise and shine. Comment on SATHI non-profit organization. Homeless kids are vulnerable and exposed to so many evils…it’s scary when you think what they have to put up with. Thankfully this organization exists to help these kids. It would be terrifying to be lost, as a child, and for the parents. Hopefully that organization keeps doing good. Yes, I agree. Such a terrifying thought as a mother as well. Thank you, Mary. Imagine the joy of the reunited families. A truly worthy organisation! Yes, indeed. At least 300 happy and united families. Thank you, Damyanti. It’s a blessing to have resources available for the most vulnerable, and I’m glad SATHI is so committed. I especially appreciate that they do follow-up with the children placed back in their homes of origin, to make sure they are safe. I am sure there are many grateful parents and fortunate children. Inderpreet, thanks for letting us know about this wonderful organization. I imagine that some kids do not want to go home for various reasons. It’s good that they have someone to help them.